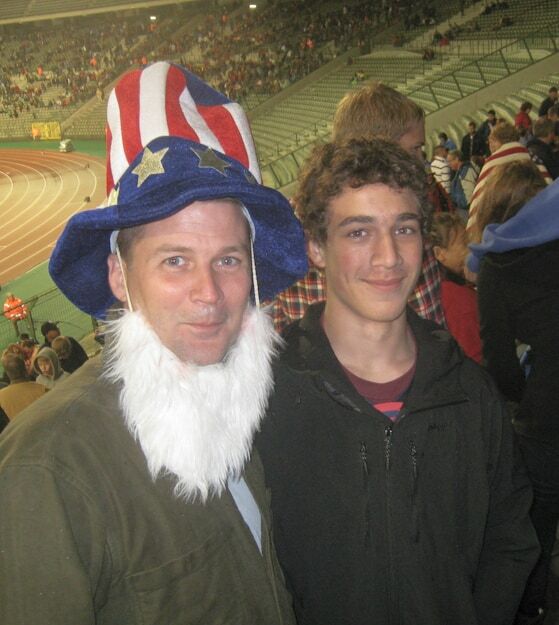 After sobbing my way through the Berlin airport because I didn’t want to leave, I reluctantly showed up in Brussels with a predetermined notion that I wasn’t going to have any fun at all. 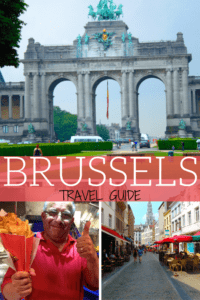 Below is my short-term stay guide to Brussels which includes eating, drinking, and a little boy peeing into a fountain. What more do you need for an enjoyable trip? If your vacations tend to revolve around drinking and dining, go to Belgium and try local dishes like waterzooi and moules-frites. Those of us with a sweet tooth (or two) are in luck as well. 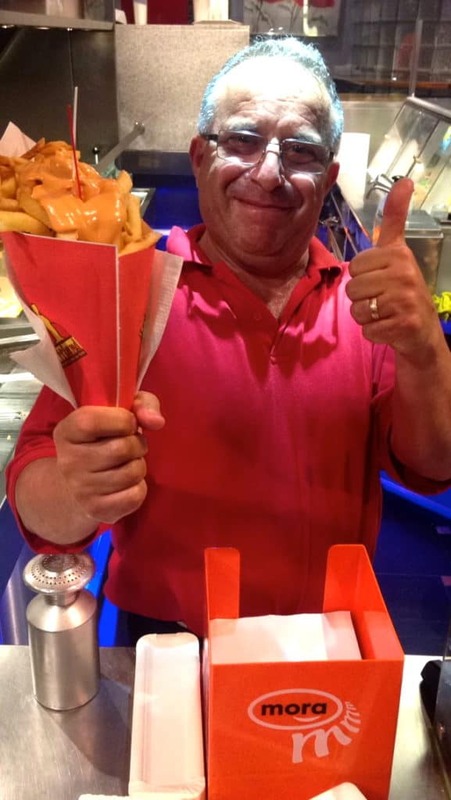 Belgium is also famous for junk food! I went to Brussels with three specific junk foods in mind and happily devoured each one before leaving. Everyone hears about Belgian waffles but the frites straight up ruined my life. I will never be able to eat fries again without saying, “these aren’t as good as the ones in Brussels” which will likely make every friend of mine wish they’d never met me. The first chocolate I had was a sea salt caramel at Chocopolis. It made me cry. 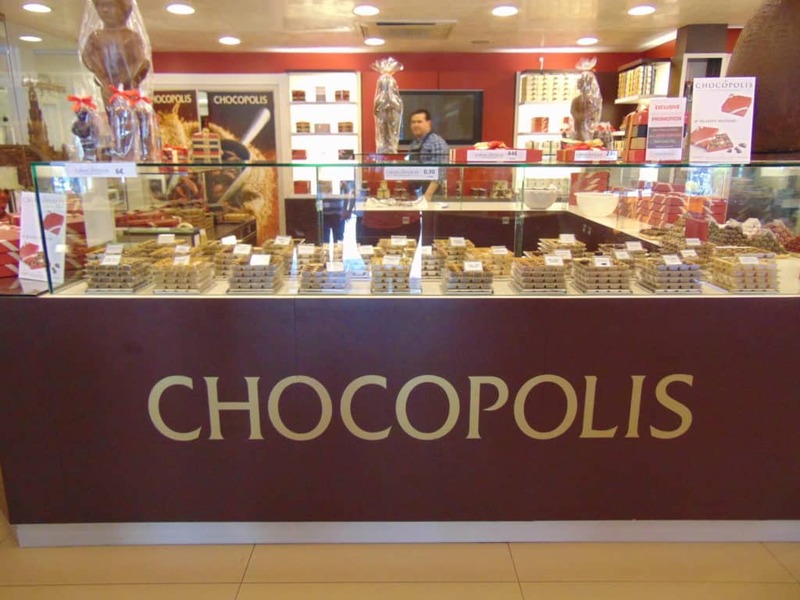 I then spent about 30 euros on chocolate and I feel no shame. 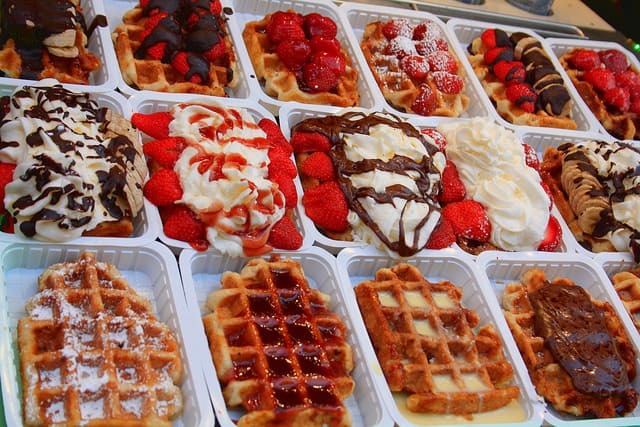 Waffles are seen in store windows drenched in Nutella, piled high with whipped cream, and layered in fruit. The waffle I had was mediocre at best. I’ll cut them some slack though, I’m not a big fan of waffles to begin with and I ordered mine pretty late at night; it wasn’t very fresh. Being from Canada, I always had the impression that Canadians deserved to carry around a sense of pride and accomplishment in our beer. Our commercials have beer chilling in buckets of patriotism and a 12 pack sometimes comes with a hockey themed toque. After spending time in Germany and Belgium, my heart sinks when I think of going home to expensive and (I’m sorry but…) crappy beer. I’ll make this short and sweet. Go to A La Bacasse and order a Kreik. Order it every day. 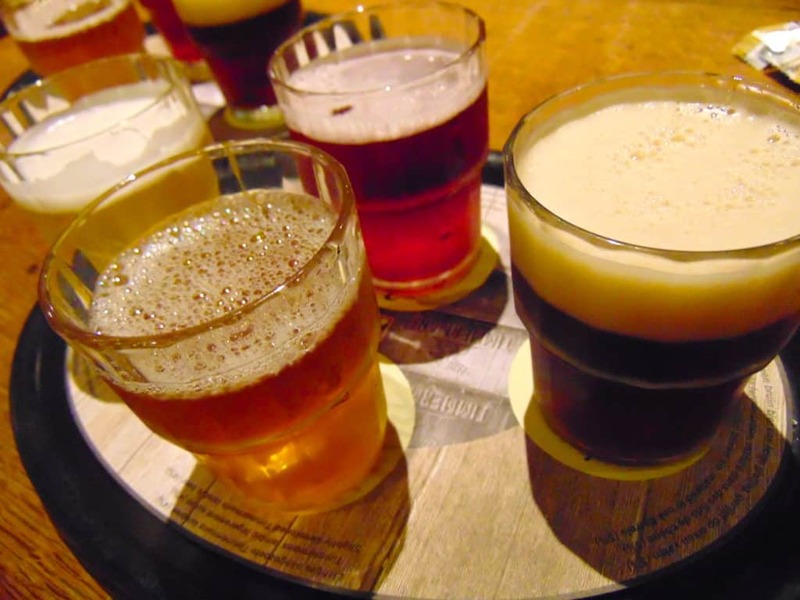 Another great place to check out if you’re looking for a bit of nightlife is Délerium Café (just look for the pink elephant) where you’ll find over 2000 types of beer. Good luck ordering. Délerium Café also has a new absinthe and gin bar which sounds really neat until you take a shot of absinthe and are left wondering what you ever did to deserve something so tragic. This is the most obvious thing to see in Brussels, in my opinion (and yes, it’s okay to giggle) but I have to warn you that it’s not nearly as big as you think it’s going to be (you can giggle about that too). Manneken Pis is a small bronze sculpture which was put in place in 1618 or 1619. If you’re lucky, you’ll pass by while he is dressed up in costume, which happens several times each week. If you’re really lucky, you’ll be there on New Year’s Day when, instead of water, there is champagne flowing from the statue. Don’t bring a cup, though. The champagne is only for people who were born within the old town of Brussels. 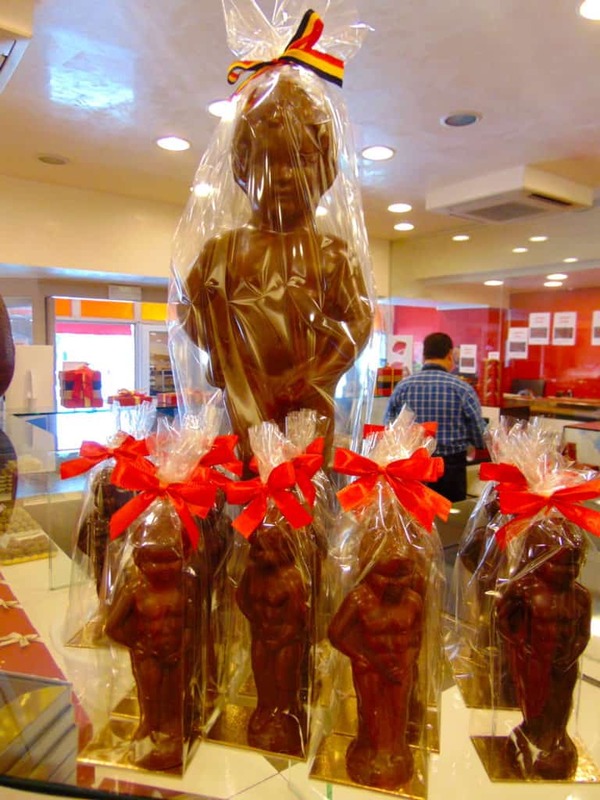 Manneken Pis also comes in chocolate. If you take the time to look for Manneken Pis then please do yourself a favor and check out Jeanneke Pis as well. It’s right by the Délerium Café and you will not be disappointed. Trust me, you couldn’t miss this square if you tried. Standing in the center, you can spin around, continuously looking up at impressive buildings. Grote Markt is considered one of the most beautiful places in the world and has been registered on the World Heritage List of the UNESCO since 1998. 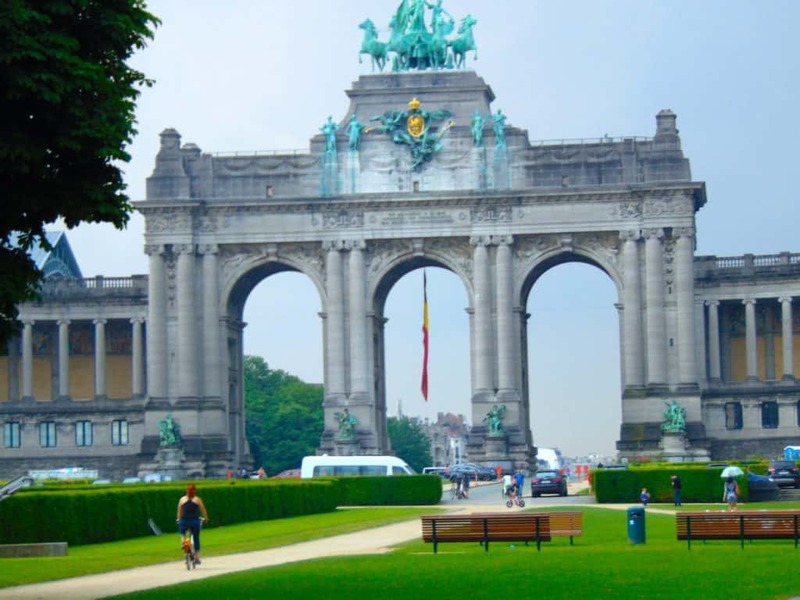 Other attractions to add to your must see list in Brussels include the Atomium, Mini Europe, Mont des Arts, and Parc du Cinquantenaire. I rented this bike to ride around and explore Parc du Cinquantenaire. When I went to Brussels I was lucky enough to stay at the Radisson Blu Royal Hotel. From the moment I walked through the door right through to check out time, I felt spoiled. I even started using the hashtag #LuxuryTravel which was a first for me. I have a long history of sleeping in grubby hostels and train station benches. 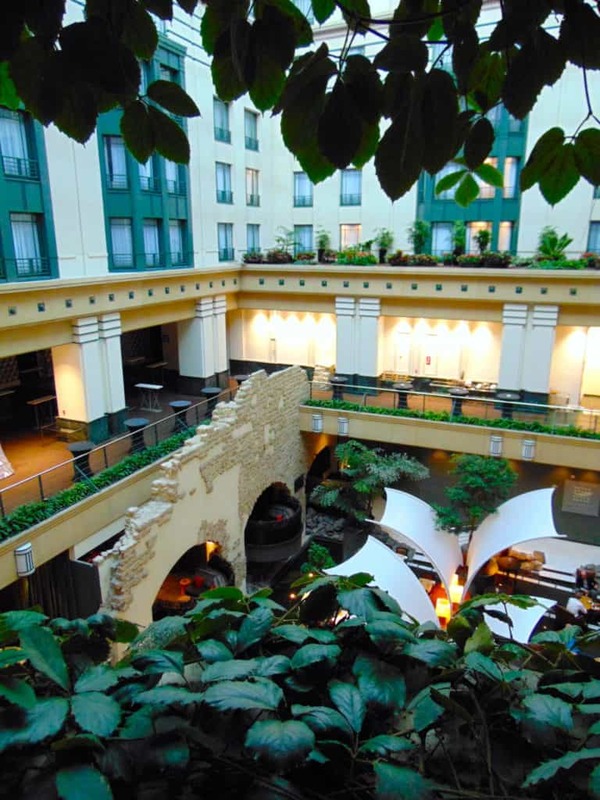 A hotel, for me, is usually just a place to rest my head after a day of sightseeing and adventures but I actually wanted to spend time at the Radisson. I woke up early every morning for the exceptional spread of food at the Super Breakfast Buffet at the PebbleWood Corner. One thing that I found interesting was that Radisson Blu Royal Hotel has its own honey bee colonies on the roof. 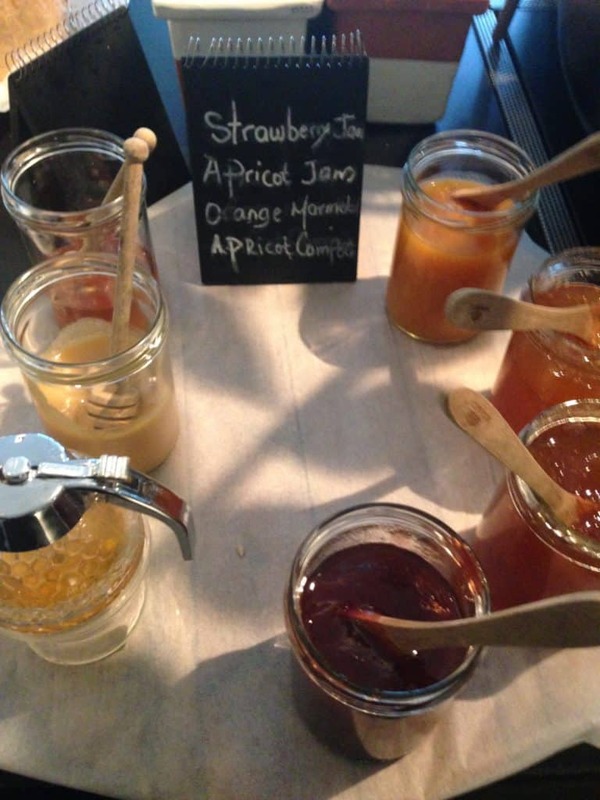 The honey harvested finds its way down to the kitchen and into the food at the hotels restaurants. There was a jar of honey at breakfast every morning and I took full advantage. 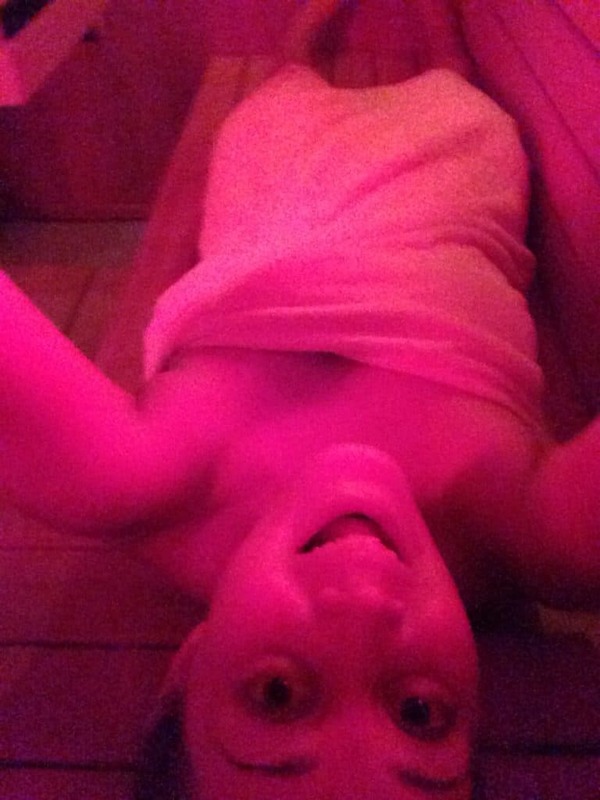 In addition to the stunning art deco façade and delicious food, I also enjoyed the 24 hour access to the gym and sauna. Luxury aside, staying at the Radisson makes you feel like you’re helping to do some good in the world. The hotels are engaged with local charity groups and the World Childhood Foundation. The mission of the foundation is to defend the rights of children and promote better living conditions for vulnerable and exploited children all over the world. The “Tree planting” at Soignes Forest in Belgium has also become a part of the annual agenda to help balance the CO2 impact. This year, Radisson Blu team have planted more than 1700 trees. In the end, it turned out that leaving Berlin wasn’t the worst thing ever (I guess) and I’m still able to have fun in other cities. This guide is far from complete as I only had 3 days to explore but I’m pleased with how much I was able to experience this beautiful city. 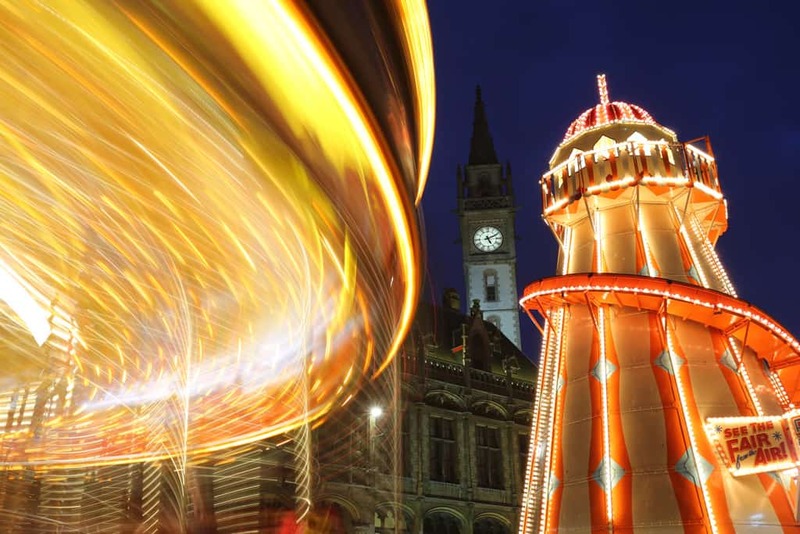 Awesome trip information for the travel lovers. This is great experience to enjoy for the tourists. 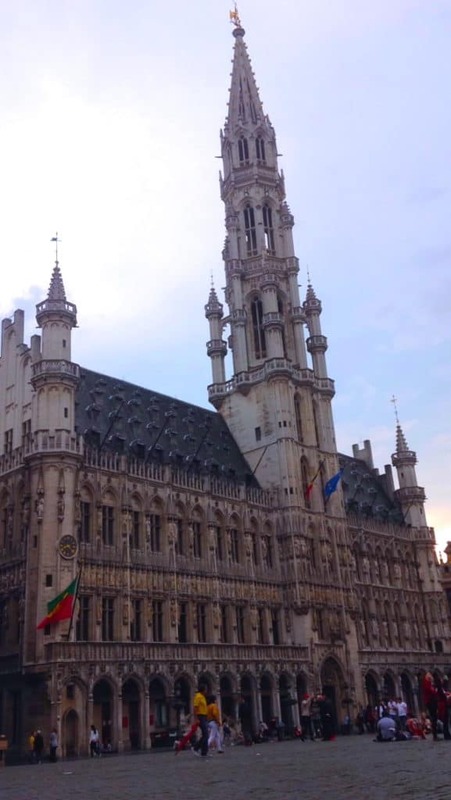 A guide to brussels for your short term stay.